Kate Cunha Archives « Breastfeed.Babywear.ClothDiaper.Naturally! Breastfeed.Babywear.ClothDiaper.Naturally! My daughter was a rotten sleeper. When she was 8 weeks old we started a bedtime routine and clung to it like barnacles to a rock in the hopes that it might help her sleep. While I’m not sure it helped her, I do feel that it helped us. It gave us solid way to end the night after what was often a chaotic day. Today, though, my daughter is 3 and is finally sleeping through the night regularly. This has allowed us to ease up on the strict routine and exchange it with something a bit more fluid. Even so, we still very much do have one. At 7pm she’s sent to her room for a little independent play or playtime with Dad, who she typically doesn’t see until just before dinner. At 7:30 playtime winds down, she gets into pajamas and is sent off to the bathroom for one last use of the potty and brushing teeth. Then comes the one part of the routine that has never changed: all three of us settle down to read books. We have read to her, together, since she was far too little to understand. When she was a baby we had a futon in her room (for, you know, those nights when it’s just easier to sleep in there) so we would sit together and read to her. The futon was eventually replaced by a rocking chair, and now we all crawl under her bunk bed into her “reading nook.” We read two to three books and then she climbs up into bed. Once there, she HAS to have her sip of water. If we forget, she’ll definitely let us know. Then she’s tucked in with one stuffed friend and ends the night with a story. Her favorite thing right now is that one of us tells her a completely made up story. Sometimes they’re stories about her adventures, sometimes they’re silly stories about our cat, and sometimes they make no sense at all. She doesn’t care, just as long as she gets a story. Then, theoretically, lights go out and we’re done. Some nights she goes right to sleep, other nights (like tonight, as I type) involve a few trips back in as she struggles to wind down. Even so, nights are much easier and calmer than ever before. Now, I truly do feel that a routine helps her sleep. Since she’s older and understands what we’re doing, knowing each step and what follows really helps her move smoothly through the evening. Bedtime fussing is reduced, and on the nights when we accidentally miss a step, she has a harder time settling down to sleep. So even though we’re not as firm on the routine as before, I still firmly believe in its benefits. Kate Cunha is a mother of one 3 year old girl. 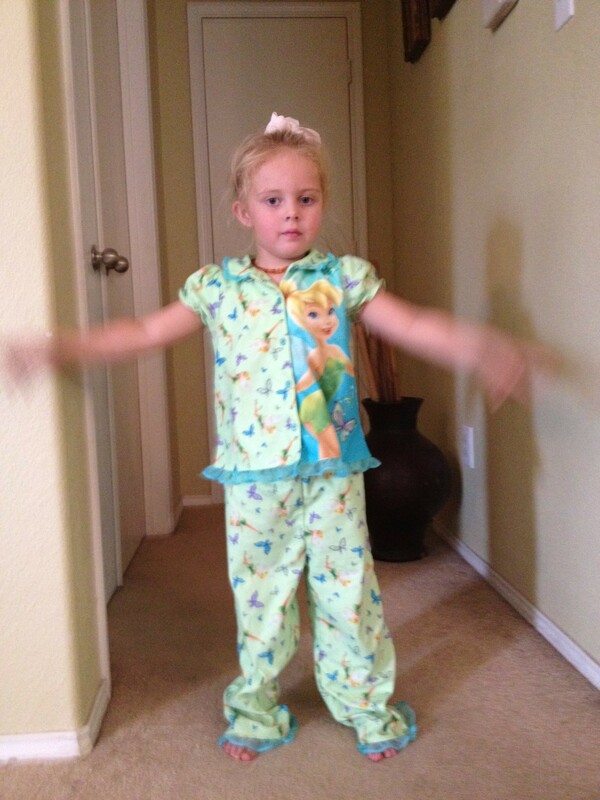 Sleep is a big deal in her house! Halloween is just around the corner and I’m excited! I love Halloween. I love the decorations, the costumes, all of it. I’m particularly fond of pumpkin carving and can’t wait until I can introduce that tradition to my daughter. But, she’s 3, so it’s safe to say that I won’t be handing over the carving knife just yet. So, what can you do with the younger members of the family that will still let them join in the pumpkin fun? For the past two years I’ve let me daughter “carve” a pumpkin with paint. The process is pretty simple. First, you tape off a pattern onto the pumpkin. Masking tape or painters tape both work well. Just make sure the pumpkin has already warmed to room temperature. I’ve had the best luck by taping off a large section, drawing onto the tap, and using an exacto knife to cut away the excess, leaving the pattern behind. Once you’ve completed the taping, it’s time to bring in baby! 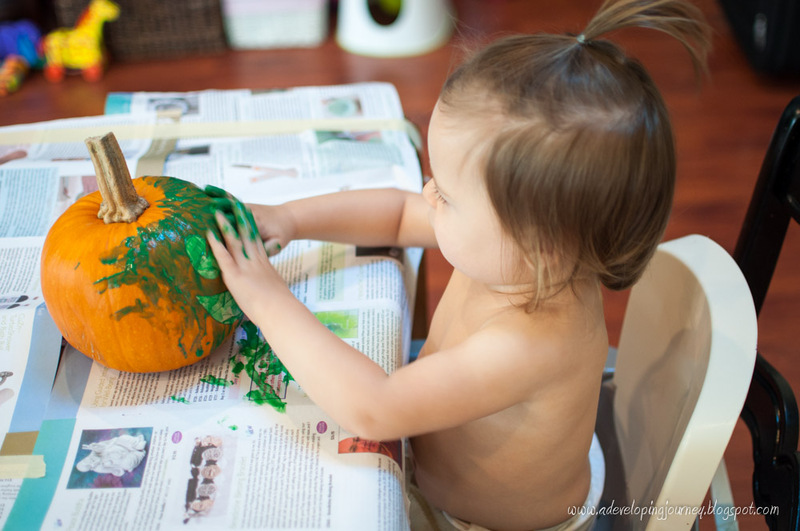 Give your baby a few colors of paint and encourage them to have the time of their lives on the pumpkin! I recommend choosing just 2 or 3 colors to avoid having all of the paint colors mix into brown, and you may want to consider using a containment device such at the high chair, just to make sure your little Picasso doesn’t paint your hallway as well. 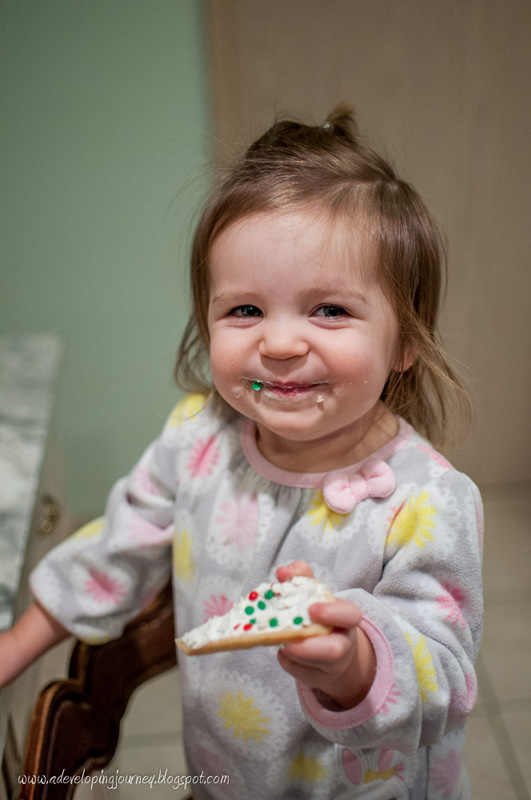 We’ve gone this route the past two years and my daughter loves it. But if paint isn’t your thing, here are a few more ideas that let the littles get in on the Halloween fun. If you’re feeling adventurous, how about a glitter pumpkin! Whatever you do, have fun! There are so many ways for every member of the family to participate in the Halloween festivities, no matter the age! Kate Cunha lives in the Pacific NW with her husband and their 3 year old daughter. She was a dirt loving, tree climbing kid who grew into a terrible gardener who loves nature. 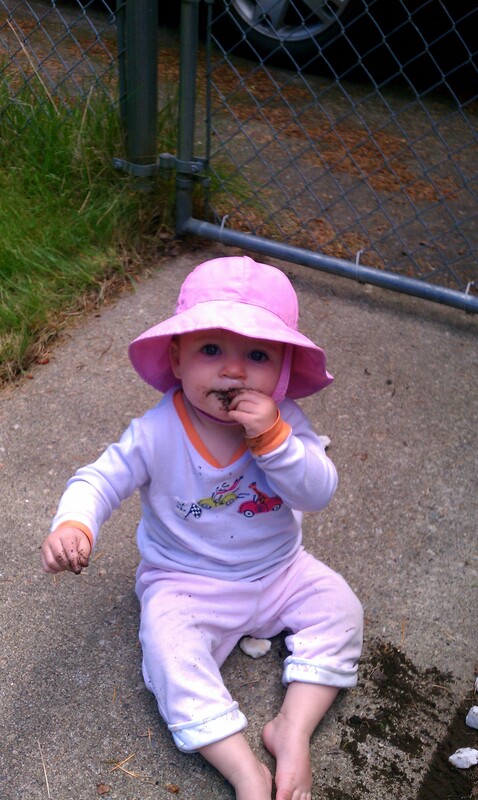 My child eats dirt. She ate dirt today, in fact. When a baby does it, you get it; they’re exploring their world. When a 3-year-old eats dirt? You wonder if they have any taste buds at all. But, for all my lack of inclination to eat dirt myself, I’m totally ok with the fact that she has, from time to time. Dirt is also good for the immune system. I am 100 percent ok with contact with the public world. I’m probably the most unconcerned mother ever when using public toilets. Sure, I take the proper precautions. We wash hands, but not with antibacterial soap, just the regular stuff, but I don’t carry hand sanitizer and I pick toys up of the ground without thought. I’m trying to teach her about how germs spread and what she needs to do to stay healthy, but I also view getting dirty as one of those steps toward staying healthy. I’ve long embraced the idea that the more we come into contact with, germ-wise, the more our bodies are prepared to fight everything off. Science tends to support this deduction as well. Dirt is outside. If your child came home dirty, she was probably OUTSIDE. Outside, in nature. She was connecting with nature in some way. I personally feel that we’re losing our connection with nature and would like to inspire my daughter to appreciate what it is to connect with the earth, with the plants and trees and animals around her. So, we garden together. We go on hikes through drippy woods. We flip over rocks in search of roly poly bugs and we beachcomb for seashells. That also means I carry towels in the car to wipe off muddy shoes and often vacuum sand from the floor, but I’m ok with that. So that’s why I’m down with dirt. What about you? 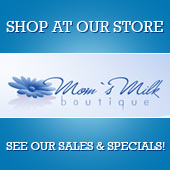 Has your child tasted a mud pie or two? So you’ve been wearing your baby for a while now, are very comfortable with front carries and feel that you’re ready to move baby onto your back. Where do you begin? First, unless you are an experienced baby wearer and experienced wrapper, back carries are typically only recommended once your child is 6 months or older and is able to sit independently. Since you have less visual connection with a child on your back, you want him to have the muscle tone that allows him to sit up straight without slouching. 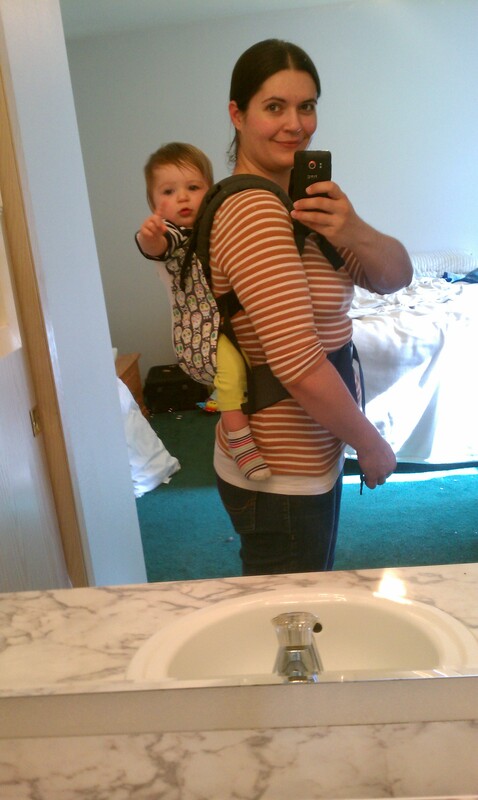 You must also only use carriers that are safe for back carries, such as woven wraps, buckle carriers, and mei tais. Stretchy wraps and water wraps/slings are not safe for back carries and should not be used. Stretchy wraps, such as a Moby, do not offer the support necessary and could allow baby to lean or fall. Water products are typically designed for front carry, water use only. If your child and carrier meet those criteria, you can now begin to practice back carries. Always start by practicing with a spotter, someone to help you should you need it, and practice over a soft surface, such as your bed. You want to first get comfortable moving baby to your back in a safe environment before attempting to do so out and about. Practicing with experienced help, such as at a BWI meeting local to you is a great start, if possible. Another good idea is to practice moving a doll onto your back and into your carrier before trying with your baby. There are a number of ways to get baby onto your back, and how you do it will part be up to preference and part due to the type of carrier you are using. Below I’ll link to a few good instructional videos that may help you with your particular carrier, but of course, this isn’t an all-inclusive list. SSC – Soft Structured Carrier – Many moms prefer the hip scoot method of transferring baby, as it has more of a secure feel to it. Personally, I was always a fan of the superman toss before my daughter was old enough to just climb on up. If neither of those feel quite secure enough for you, try this method that involves always having the chest clip buckled for additional security. Mei Tai – The hip scoot works just as well for a mei tai, or you can start out with baby on your front. Woven Wrap – There are many ways to get your baby onto your back when using a woven wrap. You may prefer the hip scoot (again! ), or the santa toss, or another version of superman. This video shows a number of examples. You may notice that I did not include ring slings. While there are ways to use a ring sling for a back carry, they are only recommended for advanced wearers. Back carries with a ring sling are not for beginners. Back carries can take a lot of practice to get comfortable with. As I mentioned, if you can meet with a babywearing educator at a BWI meeting or other babywearing meeting near you, that’s your best first step toward learning to back carry. Soon you’ll be on your way to a whole new world of babywearing! Kate Cunha lives in the Pacific NW with her husband and daughter. She is quite sure she doesn’t get it right all of the time.